For reasons as diverse as the distances they traveled, nearly 250 Catholics of all ages traveled from as far as Kansas to pray before the first-class relic of St. John Vianney’s incorrupt heart at St. Mary’s Historic Seminary and Spiritual Center in Baltimore Nov. 10-11. Baltimore was the first stop of a six-month national relic tour sponsored by the Knights of Columbus. The heart of the 19th century French saint was borrowed from its home in Ars, France. Among the 30 visitors in the first hour of the viewing were eight Johns Hopkins students, who prayed the rosary together with two priests. Joining them was a family that traveled from Pennsylvania, including a fourth-degree knight of the Knights of Columbus who had learned of the relic’s display earlier that morning. Later in the afternoon, Fred and Ellen LeGare, parishioners of St. Joseph Parish in Emmitsburg, brought six of their 10 children to pray in the presence of the relic. Fred LeGare recognized the significance for his children. The LeGare family prayed the Rosary together before saying personal prayers in front of the relic. Mary LeGare, 12 years old, prayed for her friend’s father who died a couple of months ago. The oldest sibling in attendance, Joseph, 16, prayed for guidance about following his older brother’s path in attending seminary. 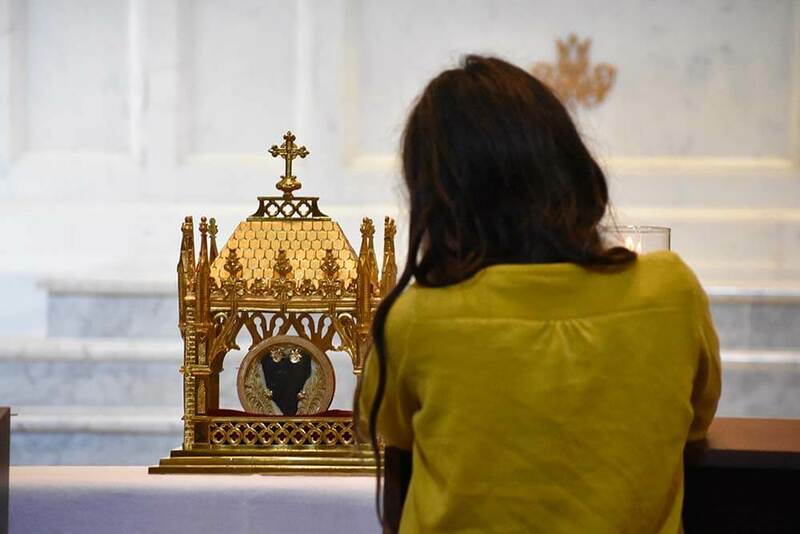 After its display at the Spiritual Center, the relic was moved to a Baltimore hotel to be present for a day of prayer beginning the U.S. Bishops Conference in Baltimore Nov. 12. Brian Caulfield, communications specialist for the Supreme Council of the Knights of Columbus and vice postulator of the cause for canonization of Venerable Father Michael J. McGivney, embraced the significance of the relic being displayed at St. Mary’s Historic Seminary – the nation’s first Catholic seminary. Father McGivney, founder of the Knights of Columbus, was a seminarian there from 1873 to 1877 and took his minor orders for the priesthood in the very chapel where the relic was on display. Caulfield was inspired to see the faith of many visitors. 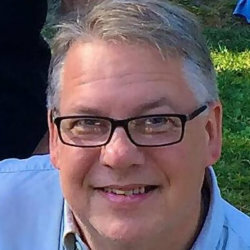 Deacon Vito S. Piazza Sr., director of St. Mary’s Spiritual Center and Historic Site and permanent deacon at St. Joseph in Sykesville, found special meaning in the presence of children at the public veneration. Also in attendance were parishioners who chose to remain silent for hours as they prayed before the relic. Others wept.